The DeLonghi Icona Vintage Kettle is available in four stylish colours to suit any kitchen. With a rounded base and conical lid, the Icona Vintage Kettle features a long easy grip handle, water window and a contrasting on/off switch. It includes a removable limescale filter and a concealed element for fast boiling and easy cleaning. 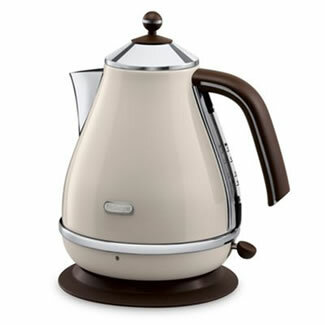 An elegant and functional kettle with a 1.7L capacity.